When Solo: A Star Wars Story hits theaters in May, there’s at least one person who will be staying far, far away: Emo Kylo Ren. After months of behind-the-scenes drama and nervous speculation from fans, the first official footage from the upcoming film debuted during the Super Bowl, and the the official trailer dropped some 12 hours later. The trailer introduces us to a cocky young Han Solo (Alden Ehrenreich), who is bent on becoming the best pilot in the galaxy, following his expulsion from Flight Academy for “having a mind of [his] own.” He and Chewbacca are then sought out by Beckett (Woody Harrelson), who is putting together a crew of sorts, which seems to include the iconic Lando Calrissian (Donald Glover), Qi’ra (Emilia Clarke), and Thandie Newton’s character, among others. Naturally, Young Han Solo’s son, Emo Kylo Ren, took to Twitter to vent his frustration about the idea of an entire film dedicated to the hotshot pilot during his days as a smuggler. The newly minted, still angsty Supreme Leader lamented on the decision to tell the story of, ugh, Han Solo as opposed to the plethora of tales left to be told about Darth Vader. This reads like a confirmation that emo Kylo’s favorite Star Wars films are *definitely* the prequels. We’re curious as to how he thinks they stack up to his own ongoing trilogy. When the full-length trailer dropped Monday morning, Emo Kylo doubled down by announcing that Han Solo isn’t even his real dad, anyway. Emo Kylo has no time for the infamous Kessel Run when there’s a feature film in which Darth Vader hangs out in his special chamber or angrily stomps around a base just waiting to be made. To be fair, it appears there’s exactly zero Darth Vader in this film. 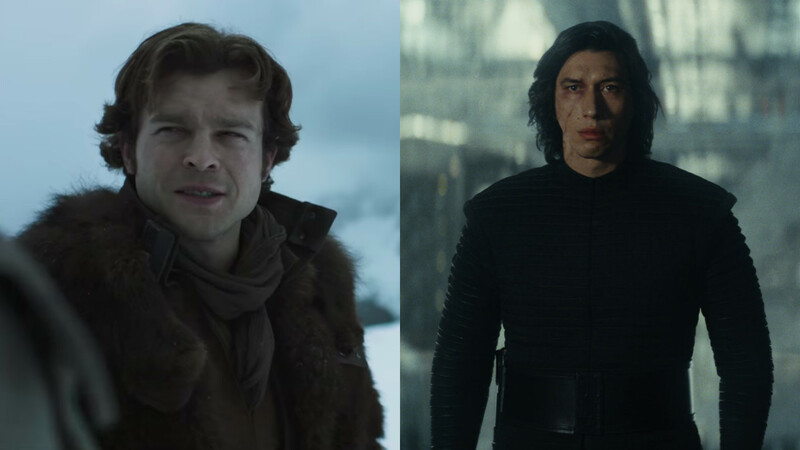 While we’re certainly interested in seeing what Solo has in store for us, we’re sure Emo Kylo is writing a song about his anger toward the upcoming film. Or writing a strongly worded letter to Lucasfilm.